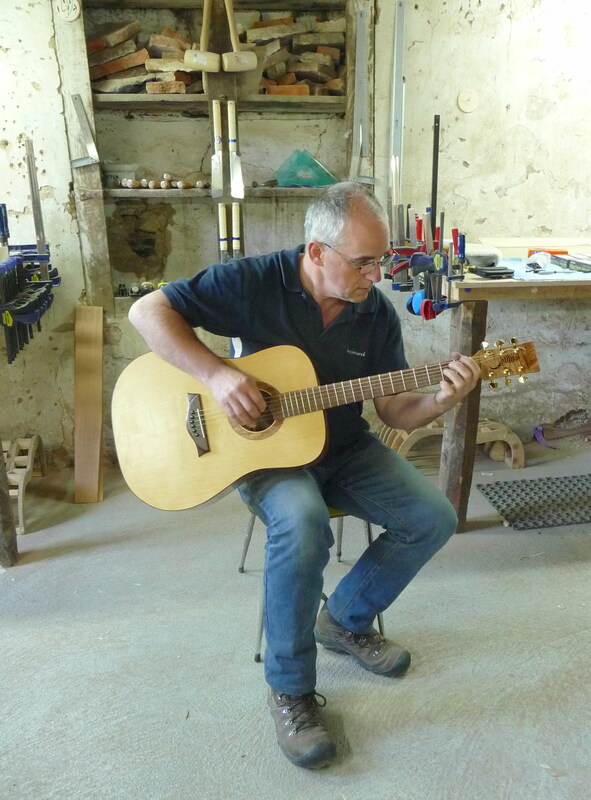 In September 2012, Michael realised a dream to make his own guitar. 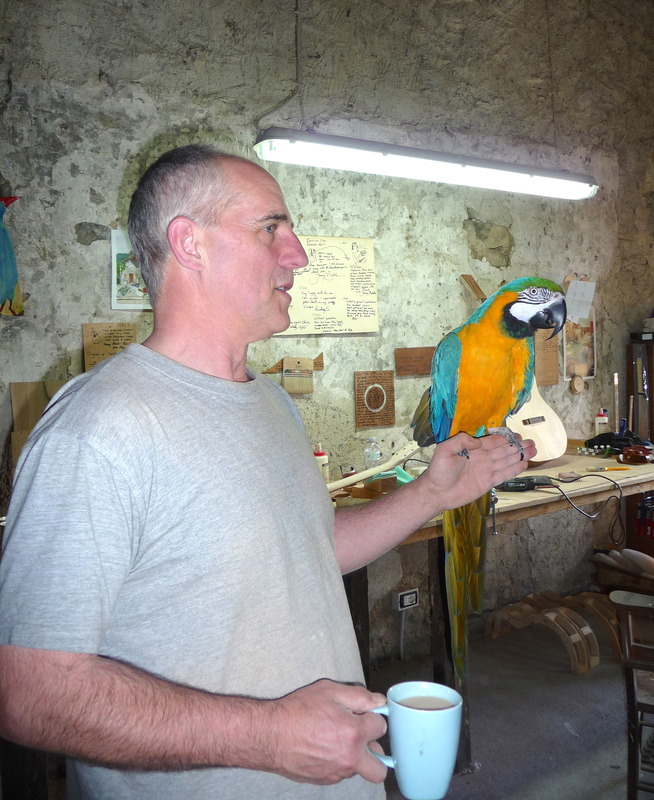 A Melbourne based luthier instructed his five students during an intensive two weeks at Highfield House in Stanley. 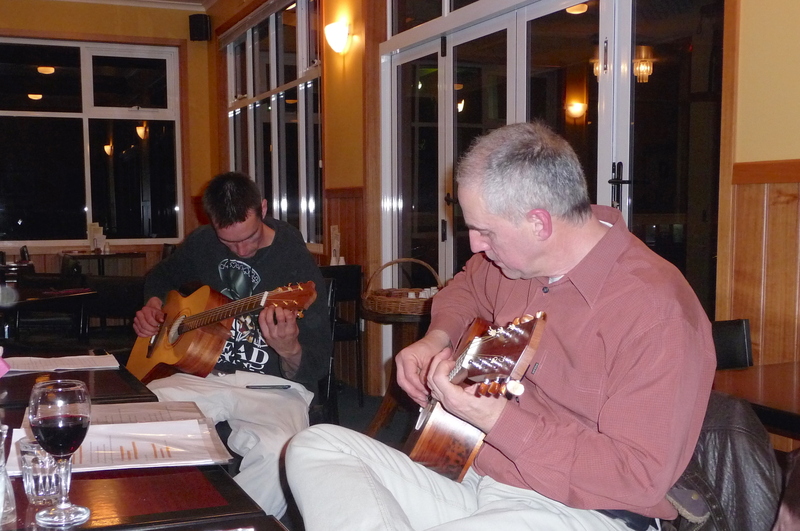 The course culminated with a dinner and musical evening at the local pub, a good excuse for me to join him for the weekend. The finished instrument is a unique 7-string acoustic guitar with a celery top pine front, rare tiger myrtle sides & back, Queensland maple neck, Queensland gidgee fretboard & bridge and blackwood rosette & bindings. At the dinner, we learned that the same course was run in Italy each year and so, in May 2014, we ventured to Benabbio in Tuscany. 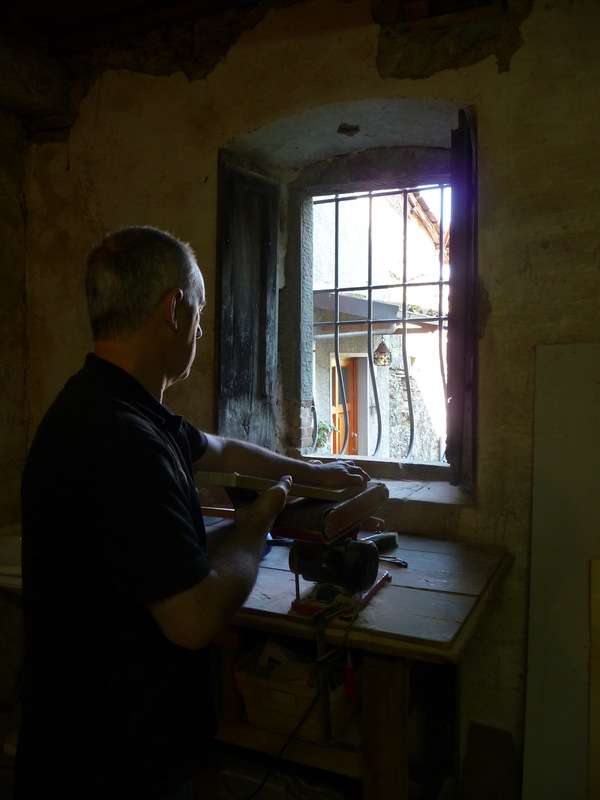 Michael created another masterpiece, labouring long days in the 16th century workshop of our villa residence. 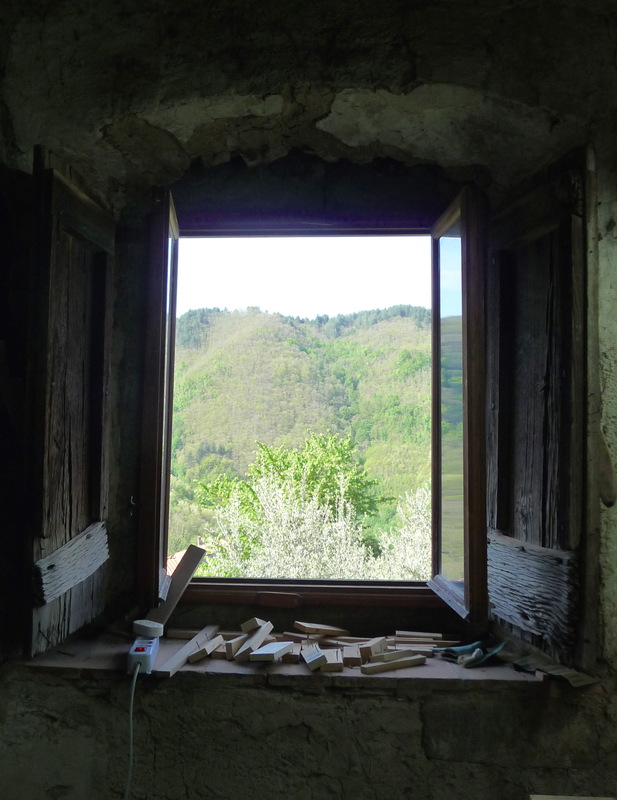 The view from his workbench was quite tolerable. This is how it happened. 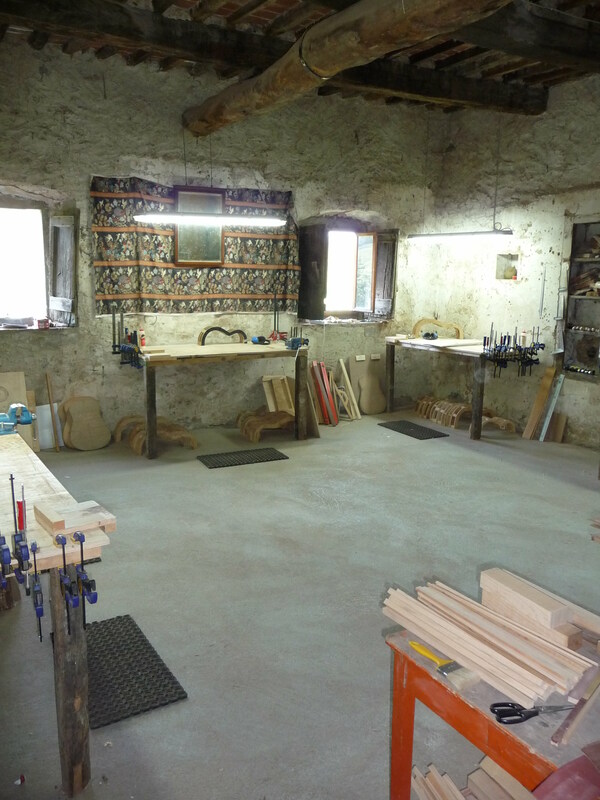 The sides were shaped, glued & clamped and given a light sand. The back was glued & clamped, then the kerfing & scalloped bracing was added to create rigidity. Meanwhile, work on the neck was underway. 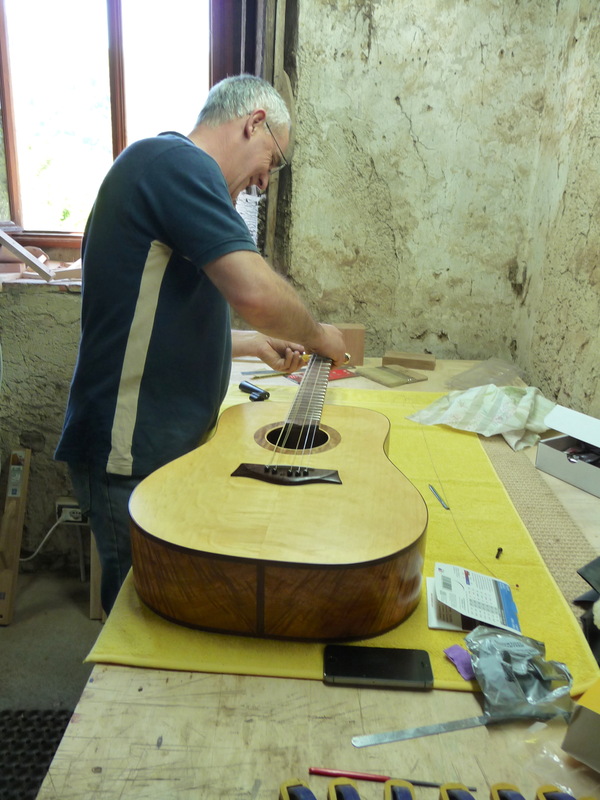 The rosette was carefully inlaid into the soundboard, the struts on the underside were precision scalloped and the bridge was glued into place & clamped. 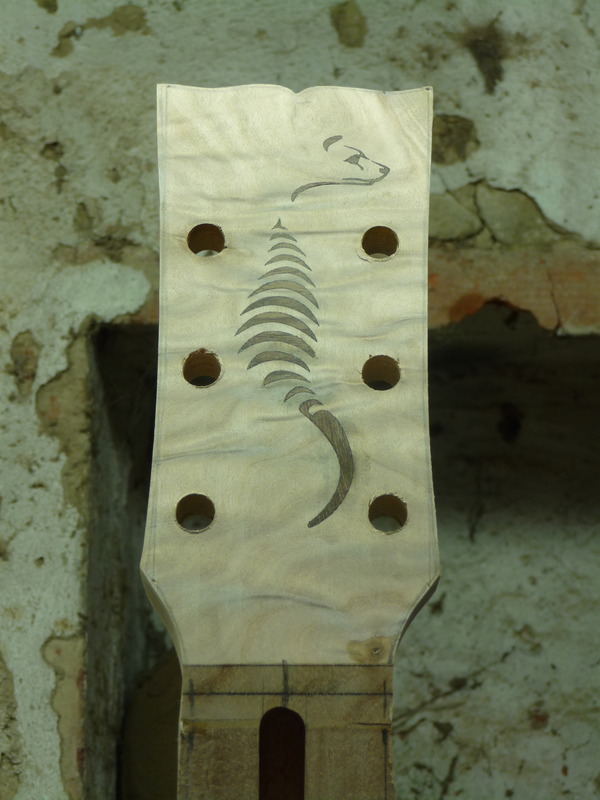 Michael had designed a Tasmanian Tiger for the headstock. The blackwood was inlaid into the musk here in Tasmania and travelled with us. This was glued in place and the soundboard was attached to the body. Gluing & taping the bindings was fiddly. A bit more work on the headstock and the neck was dovetail joined to the body. despite the momentary distraction of an exotic bird. 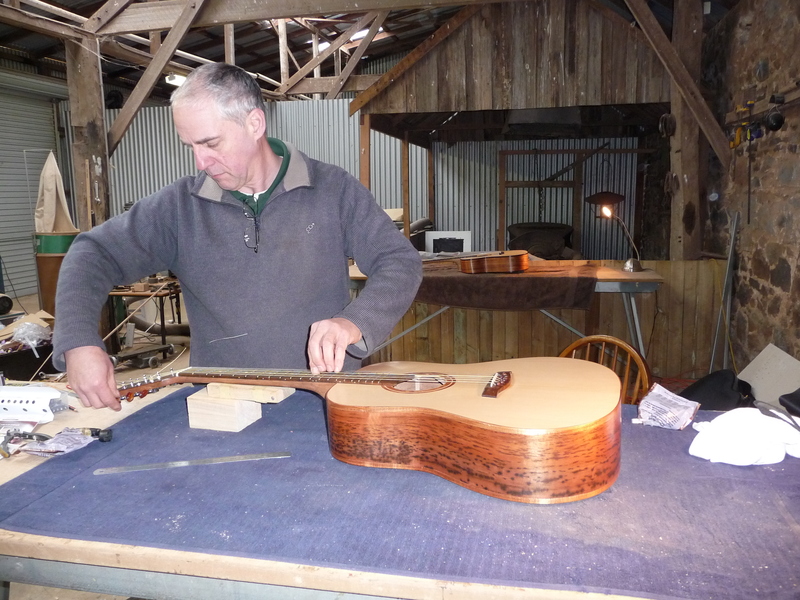 The result is a magnificent instrument with huon pine soundboard, figured blackwood sides & back, Tasmanian oak neck, Queensland gidgee fretboard, bridge & bindings and Tasmanian musk rosette & headstock. The sound is beautiful and I have it on good authority she is a pleasure to play. This entry was posted in Italy, Tasmania and tagged guitar, music, photography, travel by kathy. Bookmark the permalink. Beautiful craftsmanship and he can actually play it too! magical and fantastical…well done both! I’m sure he’d love to play it for you one day….